Raise or Fold: A Year of Risky Business: Q and A: What Are Your Goals and What Are You Willing To Do To Achieve Them? Q and A: What Are Your Goals and What Are You Willing To Do To Achieve Them? Would you be willing to move to succeed? Would you be willing to get a job flipping burgers just to increase your bankroll? Would you sell your car to take a shot at a main event? Think about it. Also, what are your goals? A grinder (like Rakewell) or do you aspire to be the next Jennifer Harmon? 1) Moving is the big thorny question for me. I'll know I've chosen to go ahead full-throttle as a poker player when I decide to move. It is absolutely the case that I'm not there yet. 2) "Flipping burgers?" That would be a very long, tedious, and inefficient way to build my bankroll. I am quite sure that I could build my bankroll faster playing poker than flipping burgers. And if I need full-time employment, I have to believe that ~ even in a recession ~ I could find a job that pays significantly better than burger-flipping, and is at least somewhat more interesting. 4) I do not aspire to be the next Jennifer Harmon. I will never be an elite tier poker player: I simply don't have the combination of personal attributes that would make that possible. I would, however, be very pleased to be a mid-stakes cash grinder and/or a modestly successful tournament player. As I mentioned in an earlier post, I am perfectly content with a low-overhead lifestyle. I would be delighted beyond words to get some kind of sponsorship deal. I would be thrilled to have a degree of success that would increase publisher interest in the book I'm writing. My ambition, while not neglible, is hardly outsized. 1) I have learned a lot, some of which I've documented in this blog, but much or most of which I have not. I've studied books and forums, I've reviewed my own play to identify strength and weaknesses, and I've talked strategy with people who I think know more than I do. A great deal of what I've learned has been about poker, and even more has been about myself. It is also clear to me that the learning never ends, and I am well aware that I have to continue actively acquiring knowledge, skills, and experience. 2) I am definitely a better player now than when I began this project. I'm also a better player than I was last year, and a much, much better player than I was two years ago. 3) I don't know whether I've acquired the skills at this level to be a long term winner. I don't have a "long term" valid sample-size of results. During the time I've been keeping records, I am definitely a winning player. Am I ENOUGH of a winning player to live off my poker income? I don't know that yet, either. 4) My income won't come from Atlantic City because it's a big fat zero of a city and no amount of money on earth could induce me to live there. My income won't be earned at the CSG or other equivalents locally because the stakes are too small and the games too infrequent. (That's assuming that I can actually beat the CSG in the long run ~ recent results notwithstanding.) If I'm going to do this full-time for a living, I'm going to have to move to Las Vegas, with its vaunted 55 (give or take) cardrooms and plentiful MTTs. My data currently shows that I am most profitable playing tournaments. It remains to be seen whether that will hold true for higher-stakes, larger-field tourneys. My next trip to Sin City (next week!) will put that question to the test once again. I will add that I disagree with two of Loose's other observations. Loose says that I have done NONE of the things I could do were I committed to being a pro. I have certainly not done ALL of the things I could do, but I think I have taken many small but important steps to lay the foundation for such a choice. Loose also opines that I am "comfortable in my current situation." That is absolutely, positively not the case. The "current situation" is not tenable for the long haul, nor would I wish it to be; sooner or later I will have to fish or cut bait (wait a sec... there's a better phrase to use here... um... oh yeah! "raise or fold"). As always, I welcome your questions and comments. I am continually struck by the variety of approaches, attitudes, and tones of voice with which people choose to communicate, and I find something valuable and interesting in them all. Thank you for being engaged readers! 1) What's stopping you from moving there? 2) Wouldn't moving there save you money in the long run? Airfare isn't cheap from DC to Vegas. Cardgrrl you and I have traveled some of the same roads. I spent a 2005 on PAO. (I think I still have around 4000 PAX if my kids haven't donked it off :)) I made my first deposit on Pokerstars just before the UIGEA passed. For the most part I feel that I have missed the easy money. My circumstances are not going to allow me to play this game on a full time basis in the near future. You on the other have that opportunity and I don't want you to have any regrets when you look back. I wish you nothing but the best in this endeavor. Go to Vegas, play your game, and most of all, let your hands hold up. "No. That would be really, really foolish bankroll management." In Ace of the River, Barry Greenstein asks several questions to evaluate if you have the mindset to be a pro. One question is "Do you make sure you are properly funded for any game you sit down in?". I don't think that he is advocating spending an entire bankroll on one tourney buy-in; however, he is making a case that you should push the envelope if you think you have an edge in a larger game. Most pros (including Greenstein) have gone busto during their career. Thanks for mentioning my comments in your blog post. I hope they at least provided food for thought. @Pokerwolf: As mentioned previously, I love my life in Washington. And, as I said in this post, I am not yet fully convinced that being a poker player is the life for me. Giving up DC would be extremely painful; I've lived here almost 16 years and have deep roots. Airfare from DC to Vegas isn't that bad. I'll be paying just a smidge over $200 for my upcoming trip. It costs between $40-60 for the roundtrip drive to AC. Not a crazy-big difference. I you ever relocate to pursue poker, you should consider the LA area. From what I hear (mostly on 2+2) the games are as plentiful and good as Vegas and the quality of living is better (more to do other than poker). @Loki9: The LA area is currently MUCH more expensive that Las Vegas. That, and what would undoubtedly be a painful commute, make LA much less attractive to me, despite the lifestyle amenities. 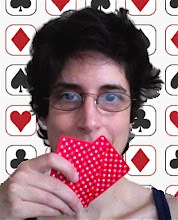 Q and A: Is Poker Academy A Good Way To Learn?